For this episode of “Ten Minutes” we interviewed Gadi Aharoni, CEO of the digital signature company ARX, the manufacturers of CoSign. Gadi discusses the differences between digital and electronic signatures, the adoption of digital signatures by law firms and courts around the world and he gives some guidance on how to start with implementing digital signatures. Our latest episode of “Ten Minutes” features HighQ's COO Stuart Barr. Stuart talks about the increasing importance of collaborative software and HighQ's approach to this. Of course we hear about the long-awaited new version of HighQ Collaborate, the company's mobile strategy and the future roadmap. For this episode of "Ten Minutes" we talked with Osman Ismail, Managing Director of DPS Software. Osman talks about case- and practice management systems, the DPS hosted IT strategy and My Legal Space and One Office Remote, new DPS offerings which will be launced in the very near future. For this episode of "Ten Minutes" we talked with Matt Duncan, General Manager NetDocuments EMEA region. 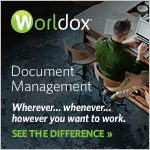 Matt talks about document management in the cloud compared to traditional DM systems and SharePoint and what can be expected from NetDocuments in the near future. For this episode of "Ten Minutes" we talked with Keith Lipman, President and Founder of Prosperoware. Keith talks about how the consumerization of IT affects law firms and how Prosperoware's product lines addresses this trend. For this episode of "Ten Minutes" we talked with Michael Jopling, IT System Services Manager at Pinsent Masons LLP. Michael talks about Pinsent Masons private cloud Infrastructure as a Service (IaaS) model from Proact which is based on NetApp technology. For this episode of "Ten Minutes" we talked with Russ Gould, director of product marketing with Guidance Software. Russ talks about the new release of EnCase eDiscovery, the market leading e-discovery software that provides everything from legal hold to first pass review. We kick off 2011 with a very special guest: Richard Susskind. We ran in to Richard at a recent seminar and asked him what he thought would be hot topics this coming year when it comes to legal technology. We asked for his top three, but eventually were given four legal IT predictions. And if that wasn't enough, Richard also elaborated about e-Discovery and Wikileaks. Reasons enough to sit down and listen to what he has to say. For our last interview of 2010 we talked with Frank Boening, Vice President EMEA at Workshare. Frank talks about what happened with Deltaview, what he has done to rebuild Workshare's reputation, the future of SharePoint, future product developments, and much more. This month we interviewed David Woolstencroft, co-founder and President of Sales, Marketing and Strategy at DocsCorp. David elaborates on the company’s product suite and the integration with many third-party applications. He also lays out the future plans of DocsCorp. The October episode of our Ten Minutes interview series features Nick Puschak, Vice President of Strategy at Bridgeway. 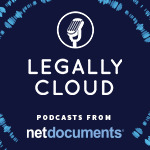 Nick talks about Bridgeway's legal enterprise management product strategy, the cost challenges of e-Discovery, and what legal and IT departments can do to address challenges of decreasing risk and reducing costs. The July episode of our Ten Minutes interview series features Winscribe's CEO Matthew Weavers and Ryan Bavery, product manager for Winscribe BPM. Of course we talked about Winscribe's Digital Dictation product, but the focus was on the company's expansion into Business Process management for law firms.